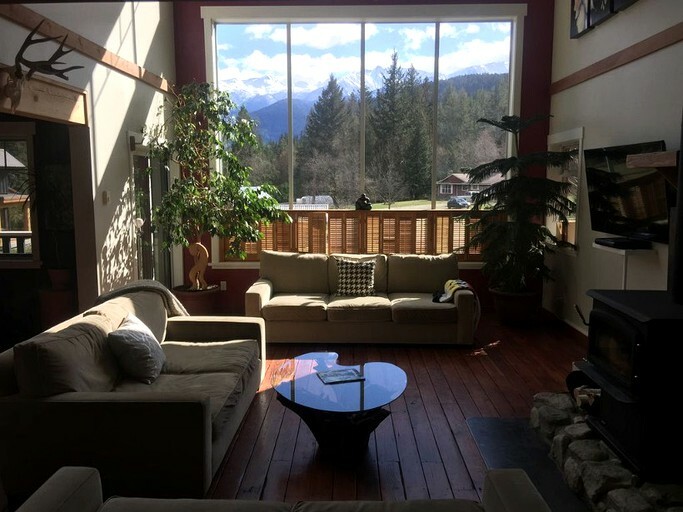 This farmhouse-style vacation rental is located in Pemberton near Whistler, British Columbia, and can accommodate six guests. There are five bedrooms and three full bathrooms. 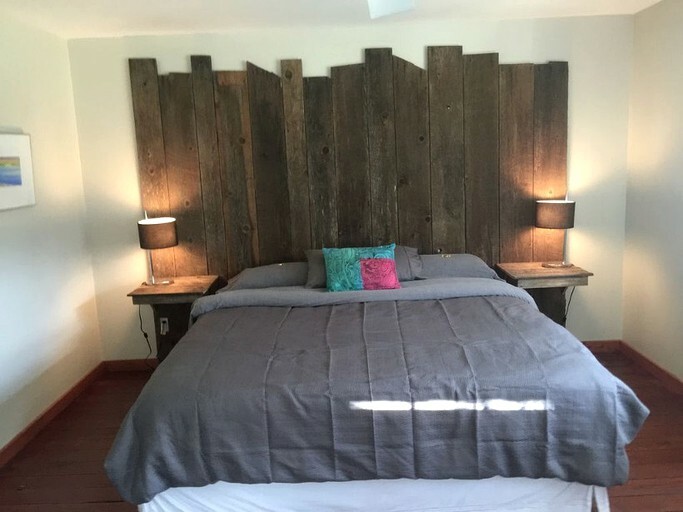 The first bedroom has a king-size bed, and the second bedroom has a queen-size bed and a single bed. Meanwhile, the third bedroom has a set of twin bunk beds, and the fourth bedroom has a queen-size bed. In the fifth bedroom, there is a queen-size bed and a single bed. In the first and second bathrooms, guests will find a toilet, a sink, and a combination shower and bathtub. In the third bathroom, guests will find a toilet, a sink, and a shower. Linens and towels are provided. In the living room, guests will find three full sofas, a large flat-screen television, and a fireplace. 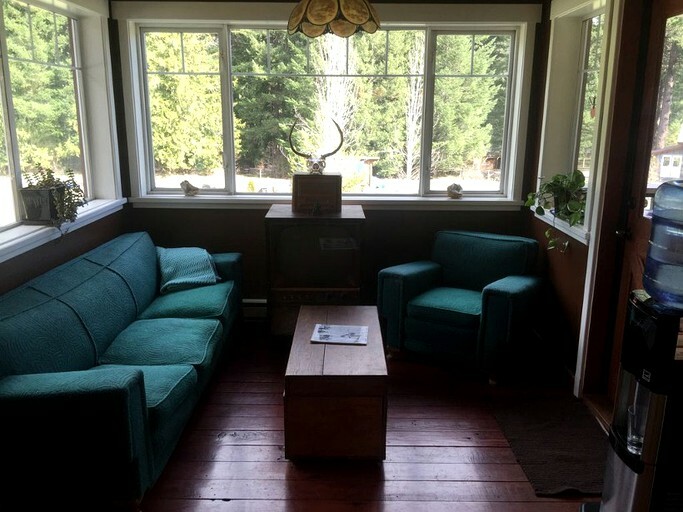 There is a seating area with large windows, sofas, and a vintage television. The fully equipped kitchen comes with a gas range, a refrigerator, and an oven. There is also a microwave, a toaster, and a dishwasher. 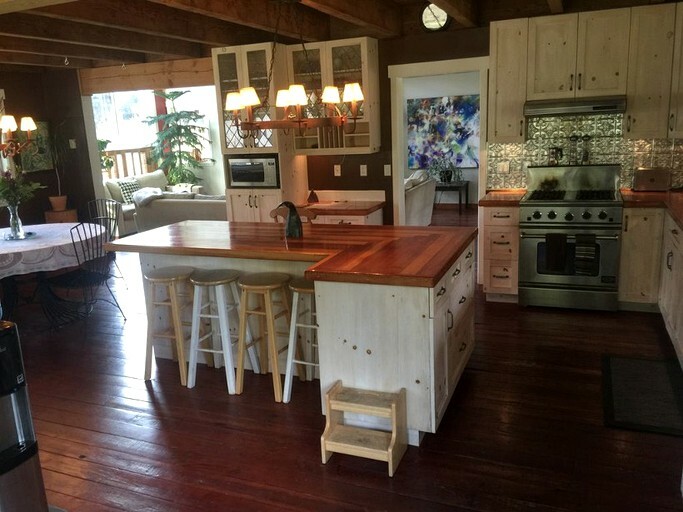 There is a kitchen island with bar seats for four. In the formal dining area, there is a dining table that can seat four people. Other amenities include Wi-Fi, cable, and a washer and dryer. 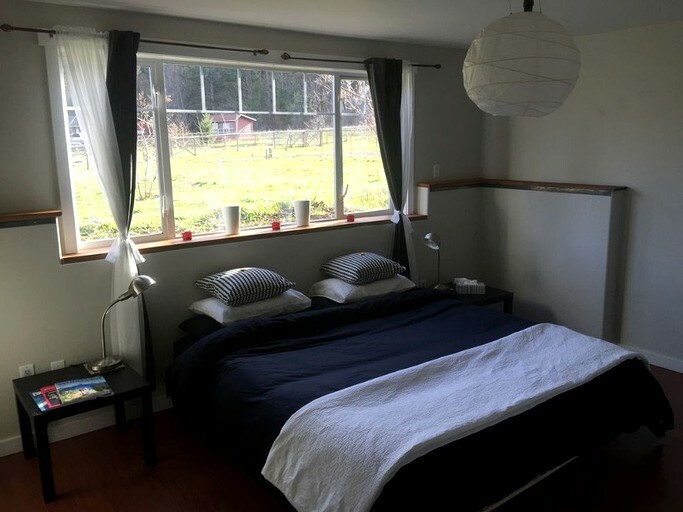 At this accommodation, guests will have a washer and dryer, an iron and ironing board, and basic essentials such as towels, linens, hangers, and toilet paper. Soap, shampoo and a hair dryer are also available for guests to use. 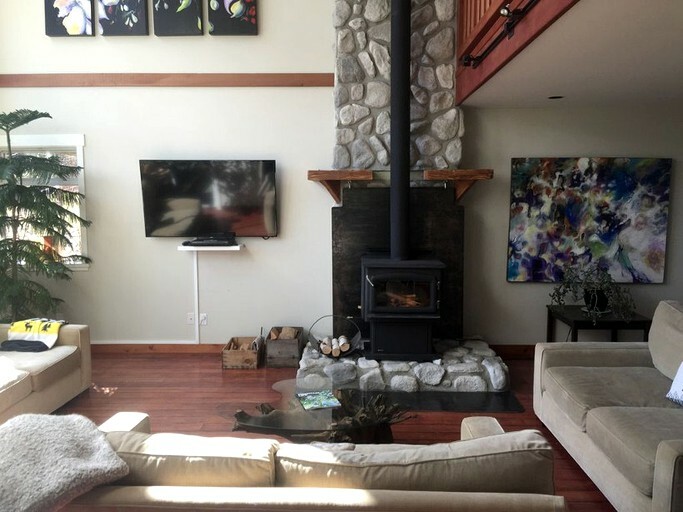 The rental comes with Wi-Fi and cable, in addition to heating and an indoor fireplace. Outside, there is plenty of parking. Check-in is at any time after 3 p.m.
For safety, there is a smoke detector, a carbon monoxide detector, a first aid kit, a safety card, and a fire extinguisher. Located just 10 minutes away from Pemberton and 30 minutes from Whistler, glampers will have a variety of activities to do. 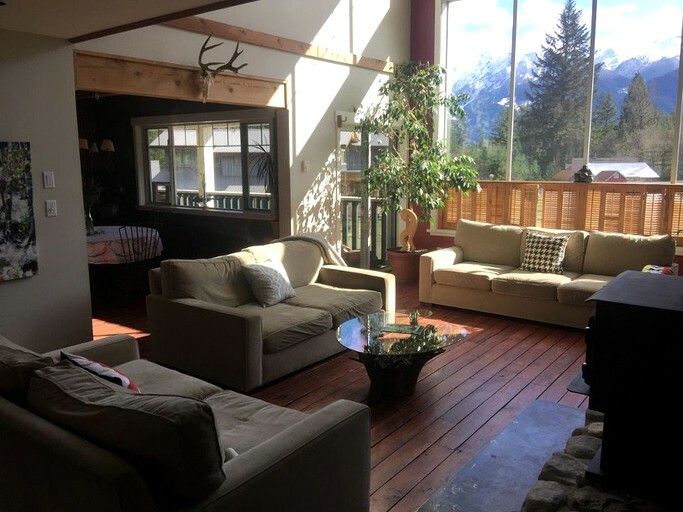 In Pemberton, guests can go fishing at Pemberton Fish Finder, hike at Joffre Lakes Provincial Park to see the beautiful lake and waterfall, or visit Pemberton Distilleries and buy some organic spirits, such as vodka or gin. In Whistler, check out the views from above by taking a gondola ride with Peak 2 Peak Gondola. Take the children tubing at Whistler Blackcomb’s Coca-Cola Tube Park, or go mountain biking at the Whistler Mountain Bike Park. 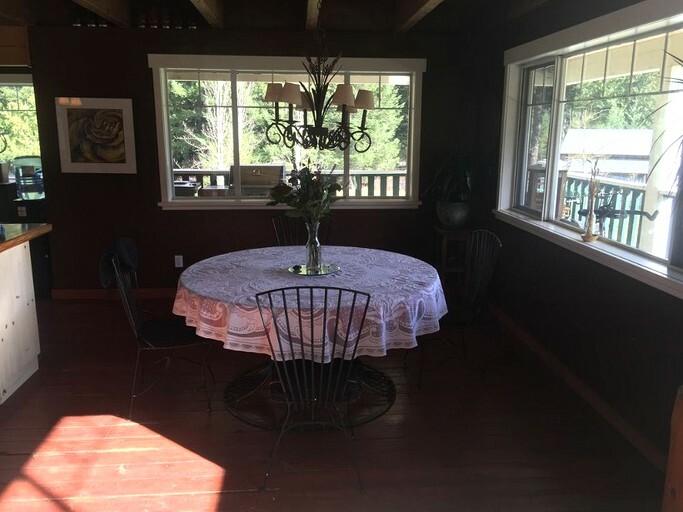 When it is time to eat, guests are encouraged to try Mile One Eating House, The Pony Restaurant, or Mount Currie Coffee Company for a bite.